What Does The Best Bond Cleaning In New Farm Cover? Finding and selecting reliable house cleaning in New Farm is not easy. The most common questions we get asked by people like yourself have been collated below to assist you in making a smart decision. 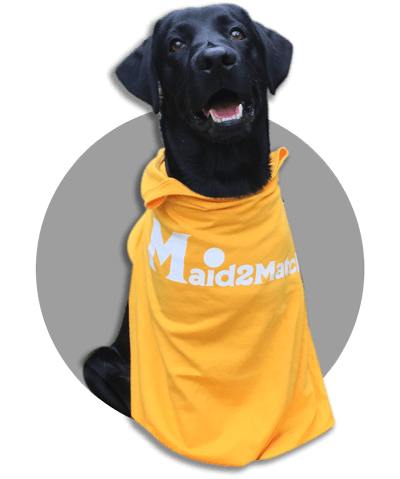 WHY ARE MAID2MATCH NEW FARM’S BEST AT VACATE CLEANING? The truth is great bond cleaners possess a different skill set than regular house cleaners and therefore requires specific experience, dedication, and a first-class cleaning checklist. At Maid2Match, we personally vet all our cleaners, after having them complete a three-part application form. We provide extensive support and have crafted the most effective bond cleaning checklist you’ll find. Let our experts take the stress out of your end of rental cleaning. Located in the city of Brisbane, Queensland, New Farm is picturesquely set on the river banks of the Brisbane River, inside one of its large bends, just 2 kilometres to the east of the Central Business District. With such a wonderful setting, surrounded by water, you still get land access from its northern parts, coming from Newstead and Fortitude Valley, so there are plenty of ferry rides you can enjoy. But there are other activities you’ll love in New Farm. For one, there’s the New Farm Park in the south-eastern part of the peninsula, with its historic appeal. You can also enjoy a walk on Brunswick Street, stopping occasionally for a cup of coffee or to look in a window shop. South of this road, you can admire the rich, ornate architecture of the Queenslander houses, set on shady streets guarded by tall trees. North of the main road, the Queenslander houses are smaller but equally interesting. You can also visit the main commercial area of Merthyr Village once you’re here. An interesting landmark, the old electric tram power station is set in the eastern part of this suburb and is now a community art centre, named The Powerhouse.